After several years of effort, the interfaith art team is excited to announce the website documenting our work and our interfaith art exhibitions. These exhibitions feature artwork expressing a commitment to peace, understanding, coexistence and dialogue among diverse faiths and include many works by Kehilla artists. 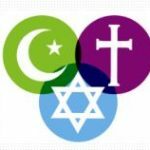 This website has been developed with the support of Kehilla Community Synagogue and our two other Faith Trio partners, the Islamic Cultural Center of Northern California and Montclair Presbyterian Church. 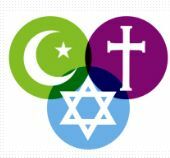 Please take a look at our website www.interfaithart.org .